The development of newer apps every passing day, it are the smartphones that are arriving on the scene to govern TV shows and programs telecast by different channels and broadcasting agencies. This tendency of governing a TV show on one’s smartphone is result of people’s desire to simultaneously switch between their social media sites as well as television programs. In developed countries like US and others, where households in percentage of 50% have smartphones and 30% have now tablets, the screen multitasking has become a norm and routine behavior. The constant connectivity offered on a smartphone has tended people to switch to the habit of watching their favourite TV show on smartphone. The other important development witnessed by market researchers in this type of usage of smartphone is its use as a TV information guide. The viewers with a smartphone, constantly, keep on searching information about their favorite TV program on a smart phone as well. The search for information as listing, show schedules, viewership reports, etc. A large chunk of smartphone users have become habitual to use it as a tool instead in place of remote control. One can now choose from an extensive list of apps available for iPhone as well as Android smartphones that can even turn their smartphone into a TV remote control. These apps according to features and usages are either provided for free or are being paid. 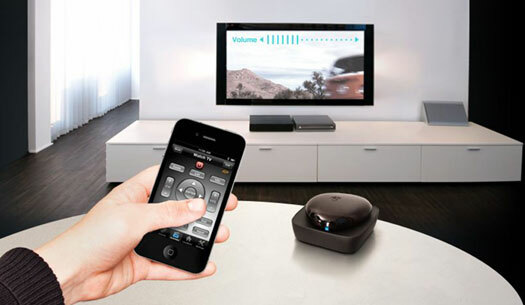 Example of such apps is Google TV set-top boxes or smart TVs powered by Google's platform which allows downloading a free remote control app from the Google Play store. Viewers preferring second screens can change to ArkMC DLNA UPnP Media Center. Thus smartphones along with Communicating are serving one more rather important task for its users.